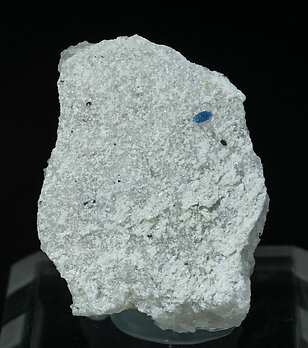 A dipyramidal Bazzite crystal, extraordinarily well-defined for the species, with an excellent intense and uniform blue color and a vivid luster. 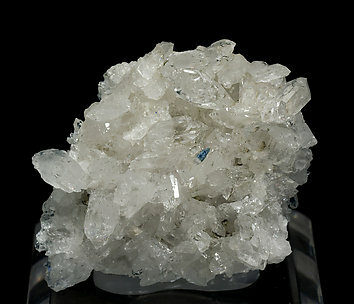 The crystal is implanted on a Quartz matrix with small laminar Ilmenite crystals. Small but extraordinary crystal of this rare scandium mineral of the Beryl group. The crystal, of a deep blue color, shows the faces of a very acute dipyramid and it is implanted on a matrix of clear Quartz crystals.